If you have any questions about this product by Zep Professional, contact us by completing and submitting the form below. If you are looking for a specif part number, please include it with your message. Genuine Joe Products - Glass and Multi-Surface Cleaner, Aerosol Can, 19 oz. 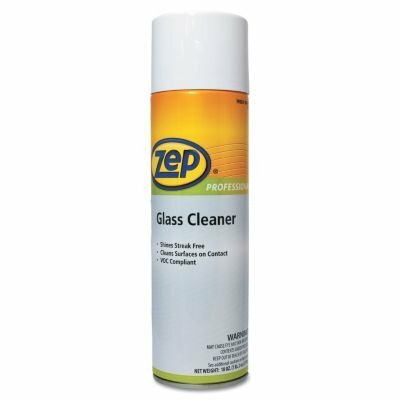 - Sold as 1 EA - Glass cleaner in an aerosol container offers professional strength. Ready-to-use nonstreaking, nonammoniated cleaner can be used on most surfaces even Plexiglas.